... an Arbor Day Party that is ... and you can find it over at JessicaSprague.com this week April 22-26! 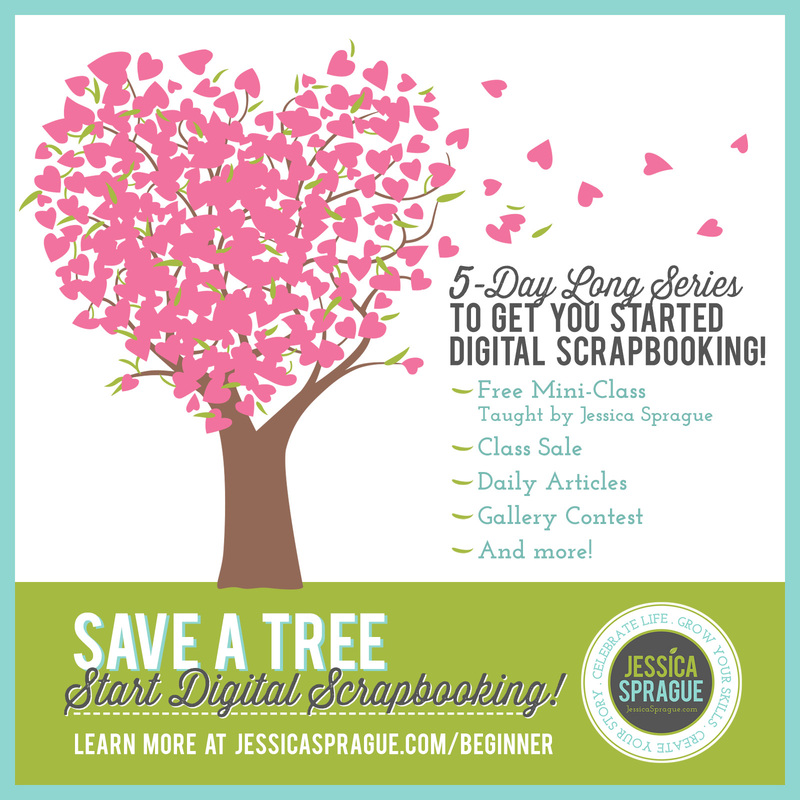 Have you ever wanted to learn how to digi scrap? Now's the time! There will be a free mini-class and class sale at the site. Jessica is a wonderful teacher so you'll want to take advantage of this! There's lots more going on this week too, so make sure to check it out every day! I love mixing up my layouts and creating traditional paper layouts along with digital layouts. My favorite technique is to combine my computer and digital elements with paper techniques to make a hybrid layout. It's all pretty easy once you practice and play. Jessica can certainly get you started! Here's an 8.5 x 11 digital layout I created in no time! It was an easy process because I started with a template I found in an article emailed to me in a Get It Scrapped newsletter this weekend. Take a look at the great article here: > Amy Kingsford creates in 8.5 x 11 from GIS. In the article, Amy gives 3 great templates to download - and I used one of them for the layout above. I also used JBS-BabyOfMine and JBS-Varsity digital kits and you can see a surprise peek of a new kit hitting the JBS Digital Shoppe soon!